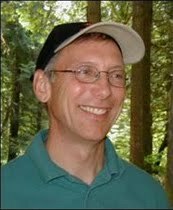 Mike Bondi, a longtime staffer with the Oregon State University Extension Service, has been named the interim staff chairman and superintendent at the North Willamette Research and Extension Center in Aurora, Ore., effective today. Bondi is replacing former superintendent Clark Seavert, who elected to transfer to the main Oregon State University campus in Corvallis, Ore.
Bondi was recently honored for his work by the Association of Public and Land-grant Universities. He will split his time between the interim superintendent position, his duties as extension staff chair, and his forestry and Christmas tree programs. He is expected to serve as interim superintendent for at least six months. For more information about him, read this short biography (PDF). He can be reached at Mike.Bondi@oregonstate.edu.